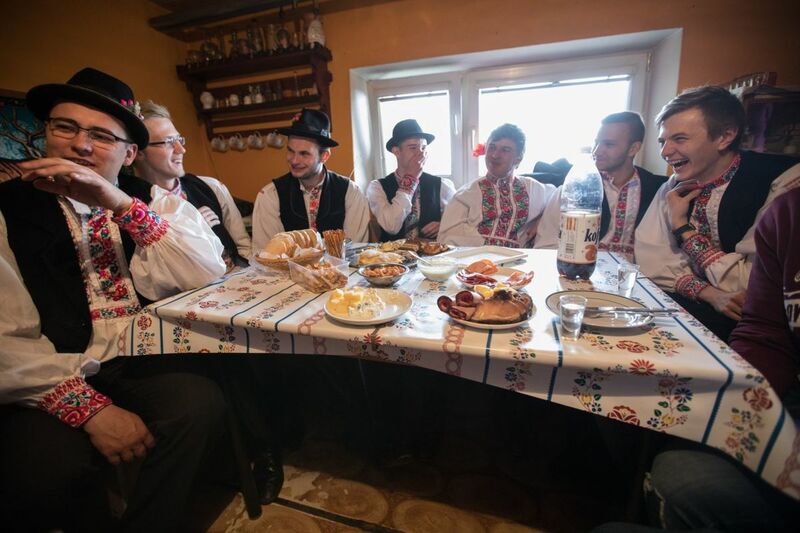 This custom, spread all over the territory of Slovakia, is known in villages as well as in towns and is performed on the last day of Easter - Easter Monday. 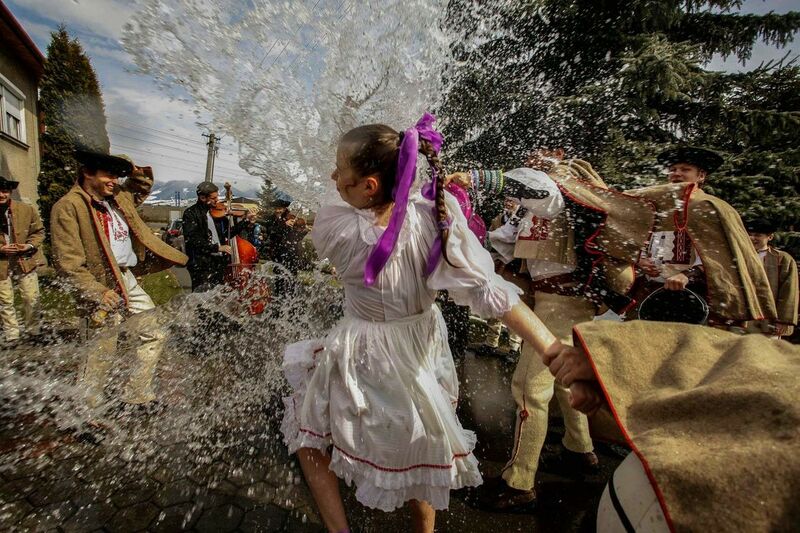 Easter Monday is associated with the custom of bathing or sprinkling with water and whipping girls and women. 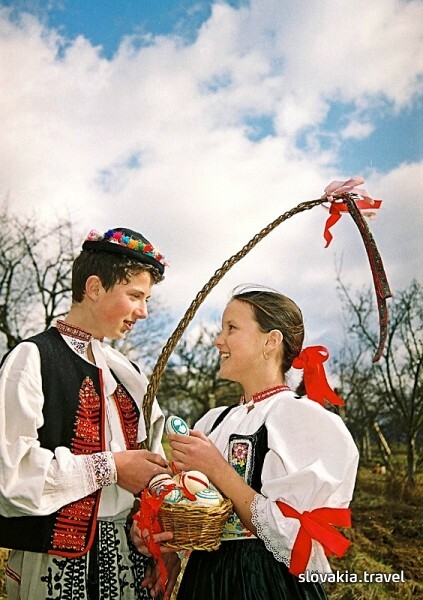 The traditional reward for whipping or bathing is a decorated egg called kraslica - a symbol of new life. The oldest way of decorating eggs was dyeing in various herbal dips, later various other techniques developed, like batik, which is putting wax on the egg with a needle and then dyeing it while the waxed places stay uncoloured. 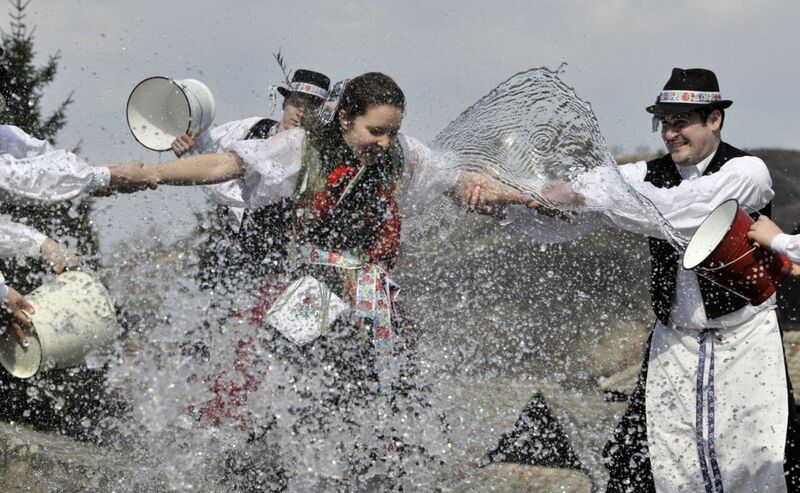 In some regions of Slovakia the Tuesday after Easter Monday was the day when girls and women could pay back the whipping and bathing, which appeared very amusing.